This same superabundant vision was also applied to the development of music making at court, which could already at that time look back on almost 150 years of continuous existence. (Heinrich Schütz being a notable previous Oberkapellmeister) Music was required for balls, dinners, hunting events, weddings, carnivals, chamber recitals, opera and the court church. (both Protestant and Catholic) As early as 1695, for the carnival season, Augustus himself planned the main parade as a magnificent procession of pagan gods and goddesses. Gods and lovers, nature and imitation were interwoven in Baroque theory and in consequence reality to create such multi-dimensional displays. The parade consisted of 11 troupes. 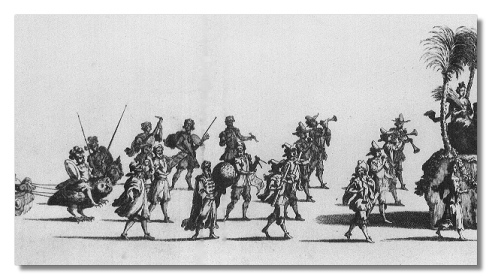 The musicians who were directed by the Kapellmeister Adam Strungk, were integrated into each segment of the procession, and wore costumes and performed on instruments determined by the character of each troupe. The first group was devoted to Jupiter and Juno, with 32 musicians in Harlequin and Pulcinella costumes. Augustus himself dressed as the god Mercury followed on horseback. Another troupe represented the Seven Deadly Sins, with an accompaniment of six bagpipers. Mars and Bellona were assisted by shawms, trumpets, timpani and long drums. Hercules on horseback, followed by eight armed Roman soldiers, a kettledrummer and twelve trumpeters. 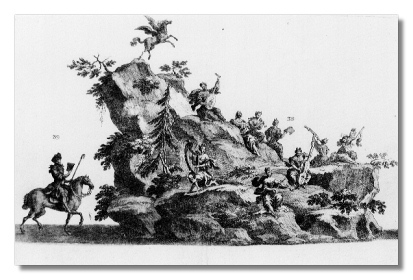 Neptune's troupe consisted of sirens, nymphs and wind gods accompanied by eight oboists and two bassoonists dressed as satyrs. The eighth group, led by Apollo in his sun-chariot, was followed by twelve musicians playing oboes, bagpipes, guitars and fiddles. "No king, however magnificent, could boast of inventions equal to Friederich August; for he himself was the sole contriver of all the festivals, which were innumerable, and so diversified, not in the least resembling each other." The favourable conditions for the cultivation of music in Dresden were scarcely rivalled throughout Europe and at its zenith between 1720 and 1750 must have seemed like an image of Parnassus itself to musicians not employed at court. Music making however, was important not only as a matter of prestige but also to be enjoyed and cultivated in numerous ways. It was not without reason that the administrative director of the Konigliche Capell und Cammer musique (Kings Orchestra and Chamber Music) became known as the "Directeur des Plaisirs" from 1709 onwards. Augustus the Strong's predilection for the French style in the arts resulted in considerable court expenditure to sustain his love of French theatre. In 1708 a French group of comédiens directed by the then famous Louis du Poitier were engaged. The first decade of the 18th century saw the development of a chamber orchestra established along the most up to date French lines. The appointment in 1709 of Jean Baptiste Woulmyer as Concertmaster, who was raised and educated at the French court strengthened this influence. The unconditional orientation towards France however was only temporary. When Augustus the Strong's son made the Grand Tour following almost the same route as his father had taken before him he gained his most significant artistic impressions not in France but in Italy. It was in Italy that the real roots of the German Baroque were anchored. Many German courts and cities imported Italian opera composers, singers, instrumentalists as well as architects and painters, and in this Dresden was no exception with Francesco Maria Veracini, Antonio Lotti, Giovanni Alberto Ristori and Nicola Porpora all serving there for varying lengths of time. Conversely German musicians travelled to Italy to experience at first hand Italian music, to refine their own style and especially to learn to write Italian opera. Indeed the magnetism of Italy attracted many German musicians. Hassler (1565-1612) was the first great German composer to study there and among the many to follow him were Froberger, Schutz and Handel. Importantly Heinichen, Pisendel, Quantz, Zelenka, Schmidt and Hasse who all served at Dresden also spent periods in Italy. The climax of the Dresden courts cultural display was reached in 1719 to celebrate the marriage of the Crown Prince Friedrich Augustus to Maria Josepha, daughter of the Emperor Joseph I of Austria. This marked the culmination of Augustus the Strong's efforts to gain European political power, retain his influence in Polish lands and join Saxon politics with that of the Hapsburg empire. Augustus the Strong himself not only planned the festivities, but studied older festival books in order to ensure that they reflected both Hapsburg and Saxon traditions and so demonstrate the joining of a powerful political dynasty with a dynasty whose aspirations were to match the political power of Austria and France. Michael Walter in the preface to his edition of Diana su L' Elba emphasises that whilst Augustus the Strong may have been fond of French music and theatre the basis for projecting a French cultural image was purely for political reasons in that he modelled his establishment of absolutist power on that of Louis XIV of France. The wedding therefore made it necessary for a change in this cultural image in order to demonstrate the new rank of the house of Saxony as relatives of the Austrian Emperor. In consequence as the Viennese court of Charles VI gravitated towards Italian music preparations for the celebrations were musically centred on Italy. Whilst the Crown Prince was in Venice during 1716 he was instructed by the King to engage singers for the opera and church. The Crown Prince secured at great expense the services of an Italian opera company led by Antonio Lotti and his wife the famous soprano Santa Stella, which included the Margherita Zani (Marucini), Maria Antonia Laurenti (Coralli) Lucia Gaggi (Bavarini), Francesco Bernardi (Senesino), Matteo Berselli, Francesco Guicciardi and the bass Giuseppe Maria Boschi. Lotti was one of the the most celebrated and renowned opera composers of his time and renowned for his publication Duetti, terzetti, e madrigali a piu voci dedicated to the Austrian Emperor Joseph II. Lotti was granted leave from his duties at St. Marks in Venice to take up this position and brought the librettist Antonio Maria Luchini and an architect Alessandro Mauro as well as painters and carpenters with him. (Augustus the Strong needed to raise an additional loan of nearly 30,0000 Taler to pay for the Italians) The Crown Prince also convinced the King of the need to secure the services of Johann David Heinichen and Francesco Maria Veracini. The wedding took place on August 20th 1719 in Vienna. 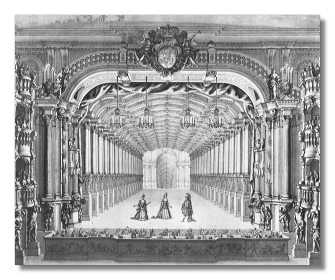 In the theatre of the Favoriten palace a festive performance of the opera Sirita by Antonio Caldara was performed, as well as the cantata L'Istro by Francesco Conti. 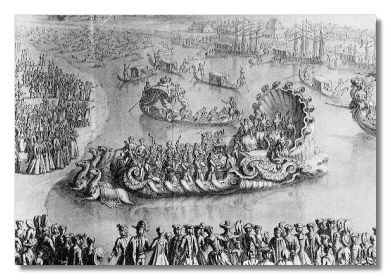 On the 2nd of September the bridal party arrived at Pirna, just south of Dresden, where the princess boarded the Buccentauro, a replica of the Venetian state gondola. Travelling by water and accompanied by a fleet of other ships and gondolas the royal party was musically entertained by Pantaleon Hebenstreit, Pierre Buffardin and Sylvius Leopold Weiss, as well as six oboists and two horn players. They were met by the King at Dresden and proceeded into the city in a magnificent parade of more than 100 decorated coaches. From the triumphal arches and church towers music accompanied the parade and Hoftrompeters (Court trumpeters and timpanists) welcomed the procession at the palace. Until the 30th September, musical, theatrical, sports and other kinds of elaborate entertainments were held, the central theme of which was the effect the gods of the seven planets had on mankind and especially the royalty. Another opera by Lotti, Ascanio overro Gli odi delusi dal sangue was performed on the 7th September. On Friday 8 and Saturday 9, a Maintenator-Rennen (running at the ring) took place in the courtyard of the stables to be followed in the evenings of each of the two days by an Italian and a French comedy, respectively. 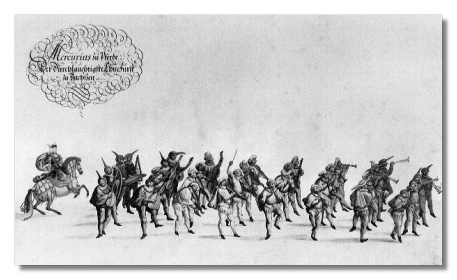 Like many other festivities the Maintenator-Rennen was preceded by a procession of nobles and the participants. Italian comedies and French tragedies were performed on several evenings. As the central theme of the wedding celebrations was the festivities of the seven planets, each of the gods of the planets served as patron of a different festivity. On 10th September the celebrations were dedicated to the sun god, Apollo, and at three o'clock in the afternoon a performance of Heinichen's serenade La gara degli dei ' The Competition of the Gods ' was sung by performers representing Mercury, Apollo, Diana, Mars, Venus, Jupiter and Saturn. The work was introduced by a prelude featuring a sonata for two horns, solo violin, oboe and strings, with a coda by strings and hunting horns. In the evening a serenade by 64 trumpets and eight timpani introduced a firework's display. "All the arts and sciences seem to have united in this breath of air. The extraordinary payments which the king grants the players have attracted the best and most excellent masters of this art to Dresden from Italy, the great school of music. When Senesino and Berselli sing, to Lotti's directions, however, one hears everything that beautiful and tender music has to offer. The whole orchestra is manned by the best instrumentalists. The stage is actually smaller than the one in Vienna, but it's complement is incomparable." Mercury's festivity on Wednesday 20th was introduced with a procession and possibly another Italian cantata before a great Fair of the Nations and lottery in the Zwinger. Among the many other court activities during these remarkable celebrations was the performance on the 23rd September of a French divertissement, Les quatres saisons, as part of the Festival of Venus with text by the French actor Jean Poisson and music by the Kapellmeister Johann Christoph Schmidt. 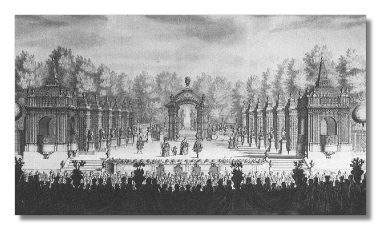 A stage for this performance was constructed in the open air in the Grossen Garten and ballets danced by members of the court (more than 100) were included in the performance. The last festivity of the planets was Saturn's on Tuesday 26th, the ' Minors festivity ' including a procession, a hunt, singing, an Italian comedy and a ball! The wedding celebrations were concluded with another performance of Lotti's Ascanio on Friday 29th. The wide publicity of the month long celebrations attracted large numbers of tourists and artists to Dresden. Telemann and Handel are known to have attended. Handel stayed in Dresden for several months and performed at court, recieving a payment of 100 ducats for doing so. Telemann brought with him a violin concerto in B Flat Major dedicated to his friend the violinist Johann Georg Pisendel which bears the date "14. Sept 1719" in Telemann's hand. Could this work have received its world premiere performance on September 17th at the Turkish feast? "Ballet von Dames u Cavalliers" Performance of Schmidt's Les quatres saisons. 26 (Tuesday) Feast of Saturn Minors Feast A singer represents Saturn (presumably in a minor cantata by Lotti), after which follows table music in two adjoining rooms. Thanks to Michael Walter for permission to use this table. In the opera scandal the following year the entire Italian opera was dismissed and the opera house closed. Handel, who may have had a part in the scandal benefited by engaging the leading singers including Senesino, Berselli, Durastanti and Boschi for his London company. As the primary function of the engagement of the opera was the wedding celebrations the expulsion can be seen in purely pragmatic terms in reducing court expenditure. An undated report plausibly from late 1719 indicates that court finances were strained by the lavish expenses: "Veracini's quarterly salary will also be difficult to pay." For the Dresden public who had acquired a taste for the sound of Italian vocal virtuosity, the period between the end of the first Italian opera and its reestablishment under Hasse in the 1730's meant that Catholic church music, in artistic terms, became a kind of Ersatz opera that found room, alongside more conservative varieties of church music, for brilliant expressions of the concertante spirit and aimed to emulate the most up to date composers such as Caldara and Vivaldi. The creation and establishment of a new tradition of Catholic church music corresponding to the elaborate court music of the day was not easy and after the opera scandal was entrusted to the Protestant Johann David Heinichen with the assistance in his later years of Jan Dismas Zelenka. Following the departure of the Italian opera company, Augustus the Strong reestablished French actors and musicians who dominated court entertainments in Dresden and Warsaw, as well as the country palaces of Moritzburg and Pillnitz. Festivals continued as the annual carnival celebrations and other ceremonies such as the wedding in 1725 of one of Augustus' natural daughters. However from this time the increasing influence of the Crown Prince and Princess led to the restoration of Italian musicians, primarily for service in the church and chamber ensembles. By 1730 the strength of Italian singers and musicians was even greater than in 1719. With the appointment of Johann Adolf Hasse, a renowned German composer of international repute who could satisfy the Crown Princes love of Italian opera, Augustus the Strongs death and the accession of Friederich Augustus III the shift towards Italy and opera was complete. In 1730 the Saxon ambassador in Venice invited Hasse and his wife, the renowned soprano Faustina Bordoni to come to Dresden. Hasse who had lived in Italy since 1722, had studied with Alessandro Scarlatti and Nicola Porpora and was court composer at Naples for seven years. Hasse had mastered the form and style of Neopolitan opera and after his arrival in Dresden in the summer of 1731 a performance of his opera Cleofide was given. Hasse finally took up his positiion in 1733. For the next 33 years Hasse' operas to libretti by Metastasio became models of 18th century opera seria and made the Dresden Hofoper internationally famous. 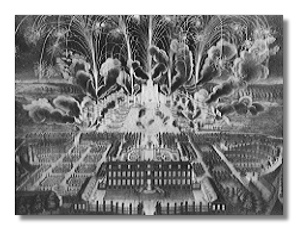 1747 saw the most lavish celebrations since 1719, marking the wedding of the Prince Elector Frederick Christian and Maria Antonia, the daughter of Charles Albert of Bavaria. The festivities lasted for almost a month. On June 14th a performance of Hasse's opera La Spartana genorosa was given with decor by Bibiena, ballets by Noverre and vocal performances by Faustina Bordoni, Rosa Negri, the castrati Carestini and Bindi and the tenor Amorevoli. Interestingly a less glamorous opera was performed for the citizens of Dresden by the Mingotti opera company that included the young Gluck! Mary Antonia arrived in Dresden on the 20th June and a week later the entire Court Kapelle accompanied her to Pillnitz for further celebrations including a performance of Galatea by Johann Georg Schurer and Gluck's Le Nozze d'Ercole e d'Ebe. 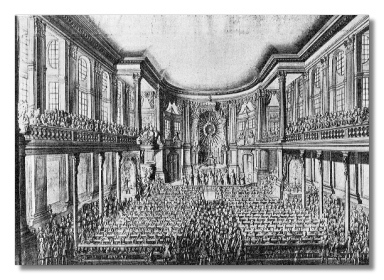 By 1756 and the outbreak of the Seven Years War the entire Kapelle included 19 singers, an orchestra of 46, a ballet of seven premiers danseurs and 22 figurants, an Italian Comedy of 15 actors and singers as well as the Court Composers, theatre architects and scene painters, pensioners and officials and numbered in total 146. Saxony's subsequent defeat by Prussia under Frederick the Great signified by the bombardment and occupation of Dresden by the Prussians marks the beginning of the end of the Augustan Age. Ironically during the winter of 1756 Frederick the Great stayed in the city holding regular evening concerts for which he brought musicians from Berlin including the former 'Dresdeners' Johann Joachim Quantz and Franz Benda. In November 1757 the Electress Maria Josepha died and on 5th September 1763 her husband Augustus II died of a stroke while setting out for a rehearsal of Hasse's opera Leucippo. The glorious Augustan Age was at an end! "The Saxons of old, so remarkable for patience, industry, and probity, are now reduced to knavery and chicane, beyond the inhabitants of any other country. Dresden is at present a melancholy residence; from being the seat of the Muses and habitation of pleasure, it is now only a dwelling for beggars, theft and wretchedness. No society among the natives can be supported; all must retrench; the court is obliged to abandon genius and talents, and is, in turn, abandoned by them! "